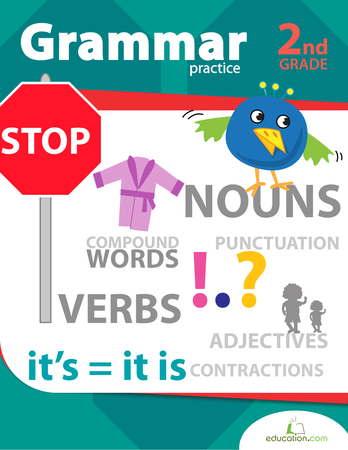 Introduce your child to the present progressive tense! Have him complete these sentences by adding -ing to verbs so they talk about on-going actions. 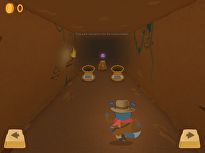 Understanding tense helps kids become more fluent readers and writers. You can give your child more practise writing in the present progressive tense with these Verbs ending in -ing worksheets. Help your second grader get to know the irregular verbs to be, to do, and to have with this fill-in-the-blank worksheet. Practise verb conjugation with your second grader by getting the subject and verb in each sentence to agree. 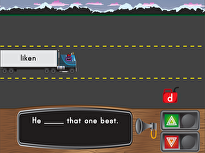 Help your second grader master sounding out and reading "ow" words like cow and towel. 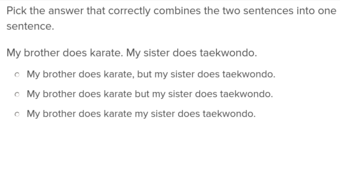 This worksheet introduces basic past tense where verbs end in -ed. Boost your second graders' pronoun savvy with this worksheet that asks them to complete each sentence by selecting the correct pronoun. Practise writing adjectives all about what you can see. Let's get to know you! Have your beginning writer complete this activity all about her, a great way to build confidence in herself and in her writing. Some words require more than an S to become plurals. 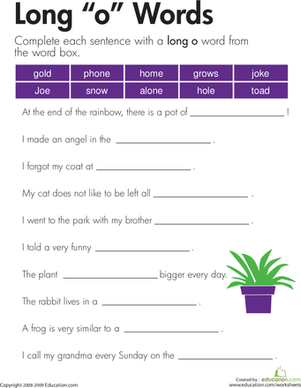 In this worksheet, kids practise using irregular plurals by connecting images to their correct noun.